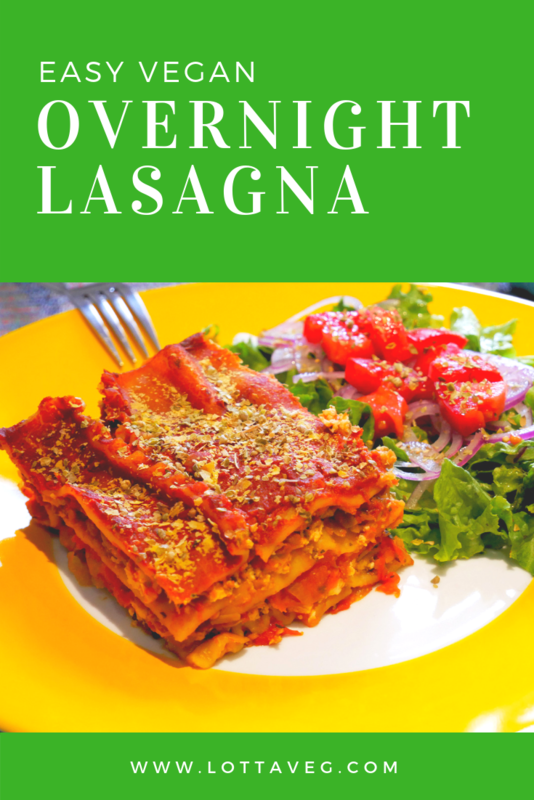 This overnight Easy Vegan Lasagna recipe is oil-free, nutritious and delicious. 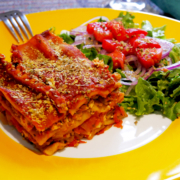 It only takes 15 to 20 minutes of work to prepare & makes lots of leftovers. 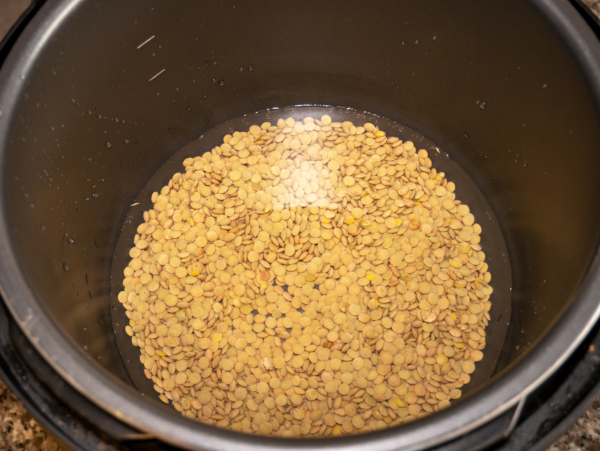 Cook the lentils in a pressure cooker according to the pressure cooker instructions, about 10 to 15 minutes. Or cook on the stove according to the package instructions. You want to slightly overcook them so they're very soft. 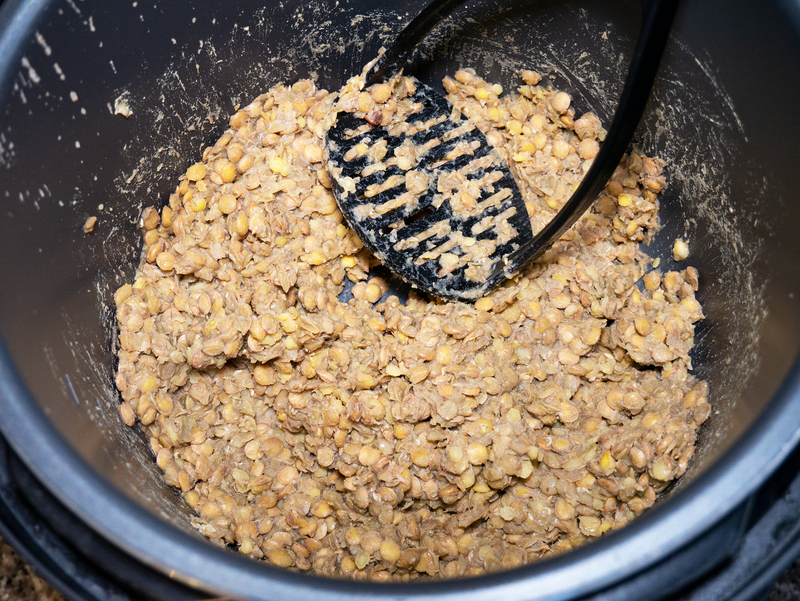 Once the lentils are cooked, use a potato masher to mash them up. 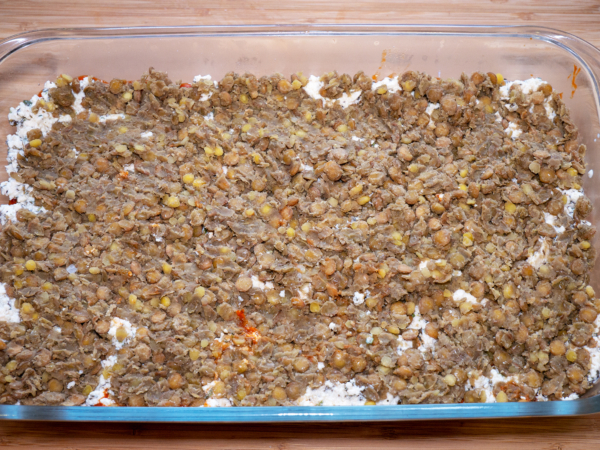 Or, stir fry them without liquid in a large skillet to mash them up and dry them out so they take on a ground beef texture and consistency. Stir in the onion powder and salt. Set aside. 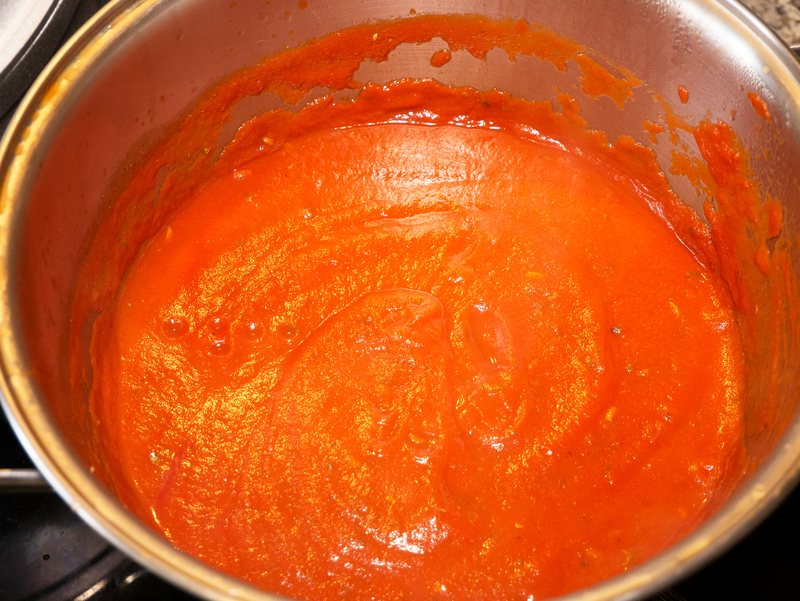 Pour the sauce into a large saucepan. Add the fennel seeds, oregano and red pepper flakes. Stir to combine. Bring to a simmer and cook covered on low for 5 minutes to release the flavors. 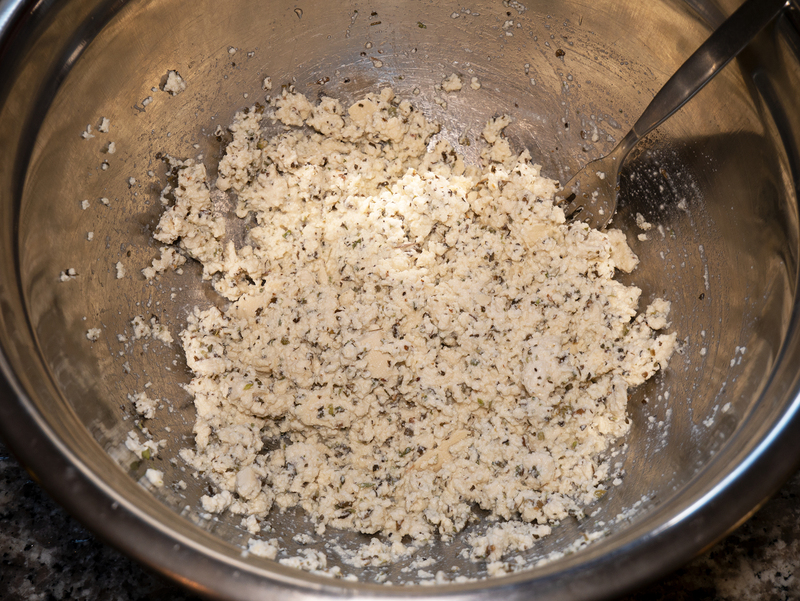 Drain the tofu and place the tofu block in a large mixing bowl. 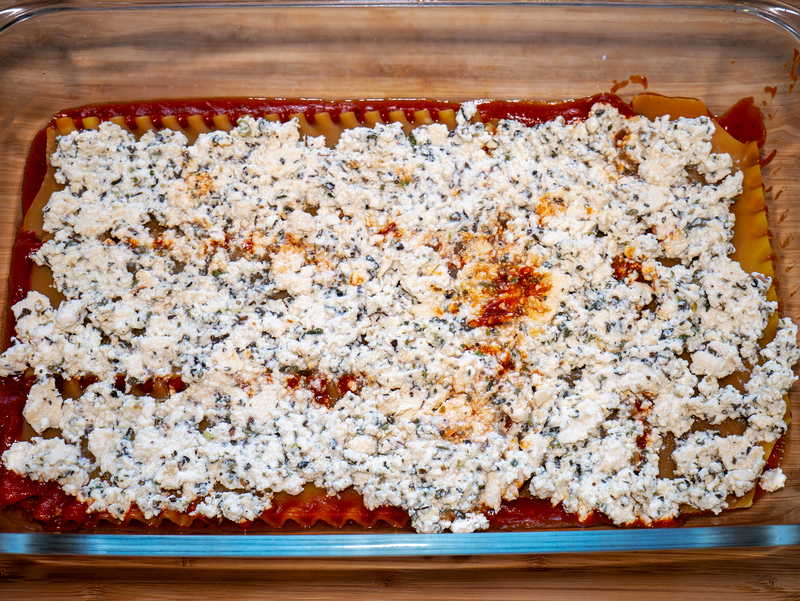 Using a fork, crumble the tofu into small ricotta size pieces. 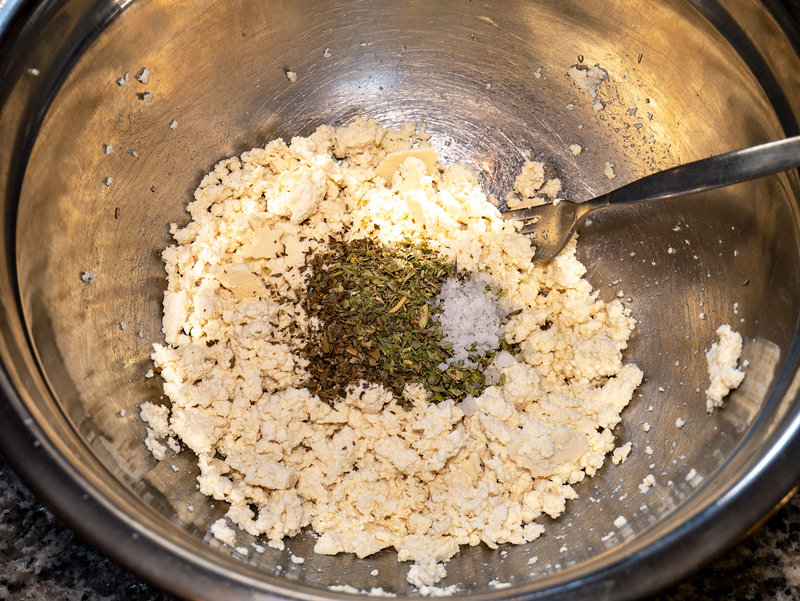 Add the lemon juice, oregano, basil and salt to the tofu crumbles. Stir to mix well. Add more lemon juice or a little water if the consistency is too thick. Set aside. In a non-greased 9"x13" casserole dish, add 3/4 cup of the spaghetti sauce and spread evenly to completely coat the bottom of the dish. Add a layer of uncooked lasagna noodles and press into the sauce. Spread 1/2 of the Tofu Ricotta mixture evenly over the lasagna noodles. Spread 1/2 of the Lentil mixture evenly over the Tofu Ricotta. Cover with 1/3 of the remaining sauce. 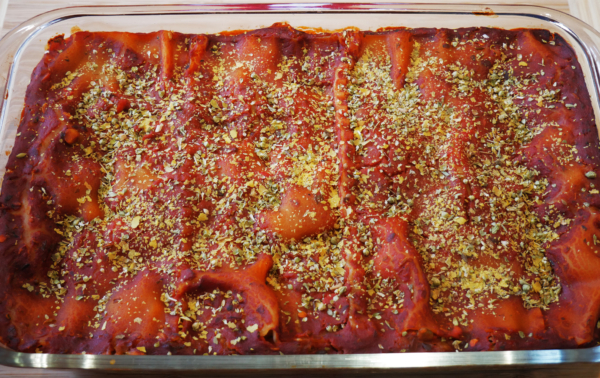 Add another layer of noodles, Tofu Ricotta mixture, lentil mixture, 1/2 of the remaining sauce and the final layer of noodles. 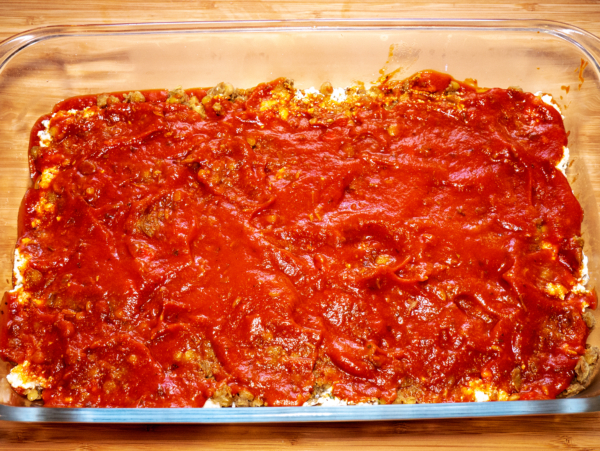 Top with the remaining sauce and spread evenly. 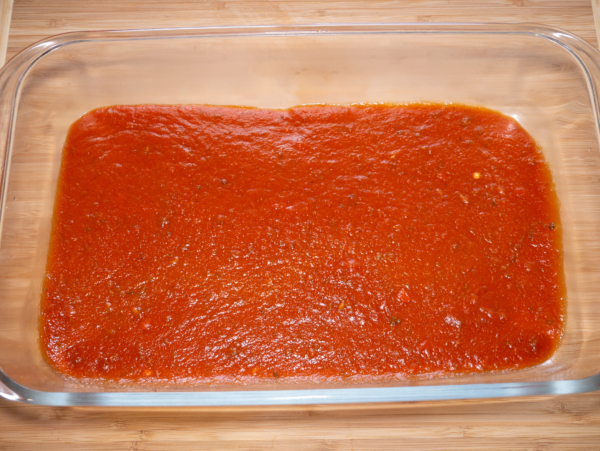 You can add extra sauce if needed to cover the noodles. 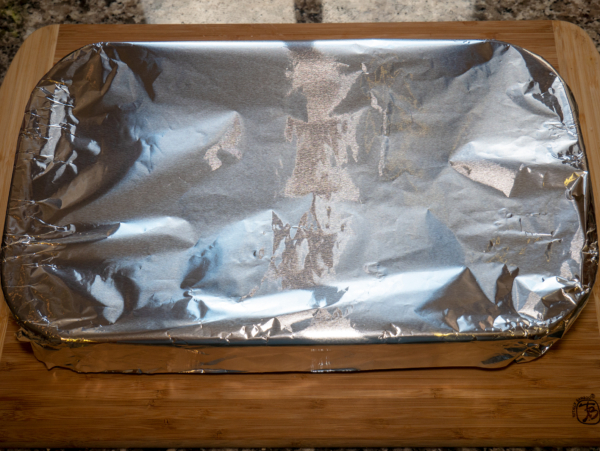 Cover the baking dish with a lid or aluminum foil and place in the refrigerator overnight. 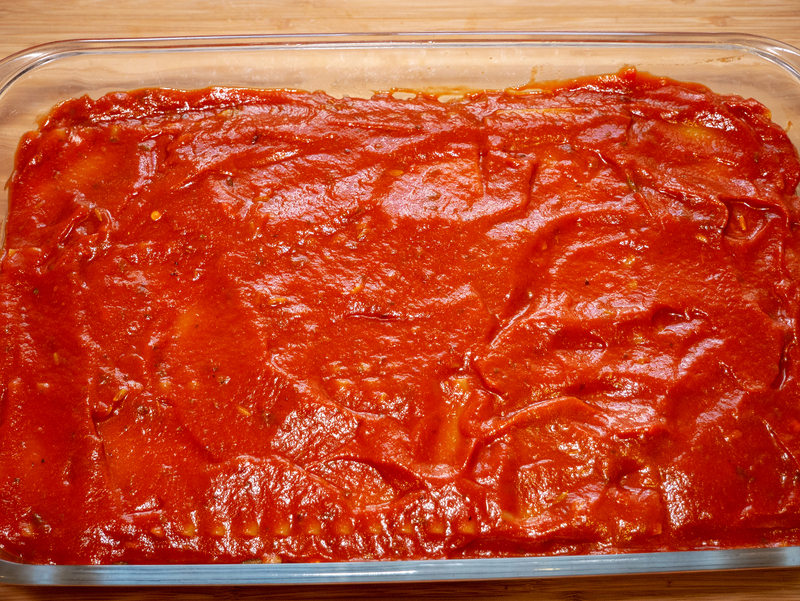 Remove the lasagna from the refrigerator 30 minutes before cooking to allow the baking dish to warm up a bit. 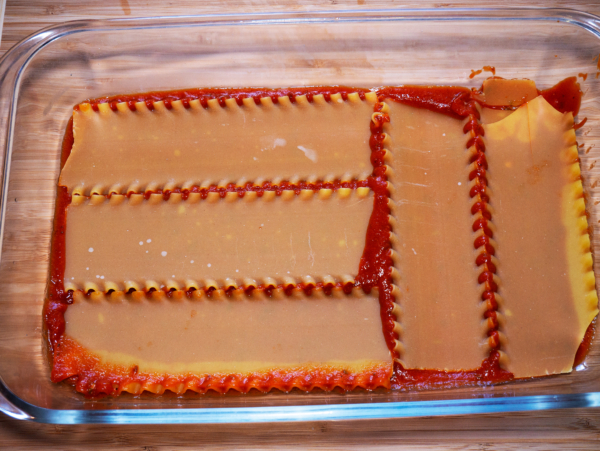 Bake the lasagna covered for 45 minutes. 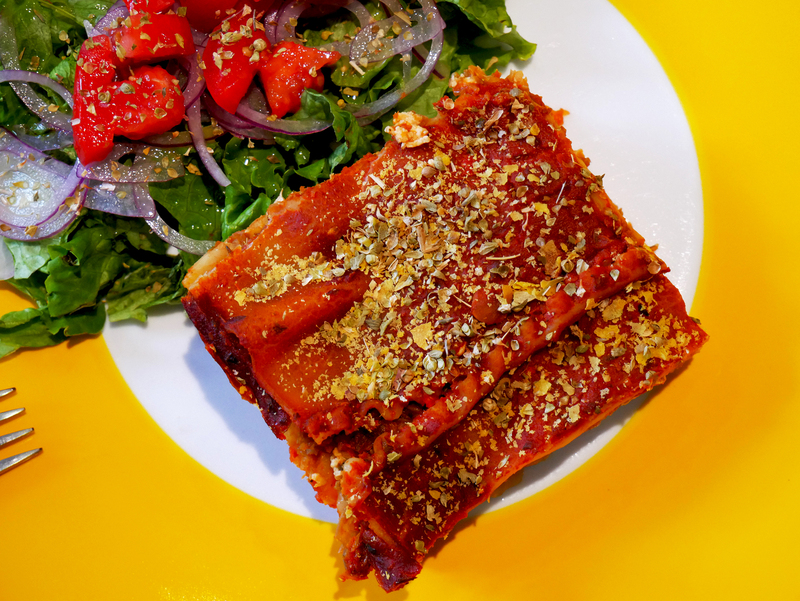 Remove cover and sprinkle with a little garlic salt, oregano and nutritional yeast. Bake uncovered for another 15 minutes or until it bubbles in the center and/or around the edges. Let stand 15 minutes before serving. Top with extra warmed sauce to give it some moisture and plate appeal (we didn't do that this time). 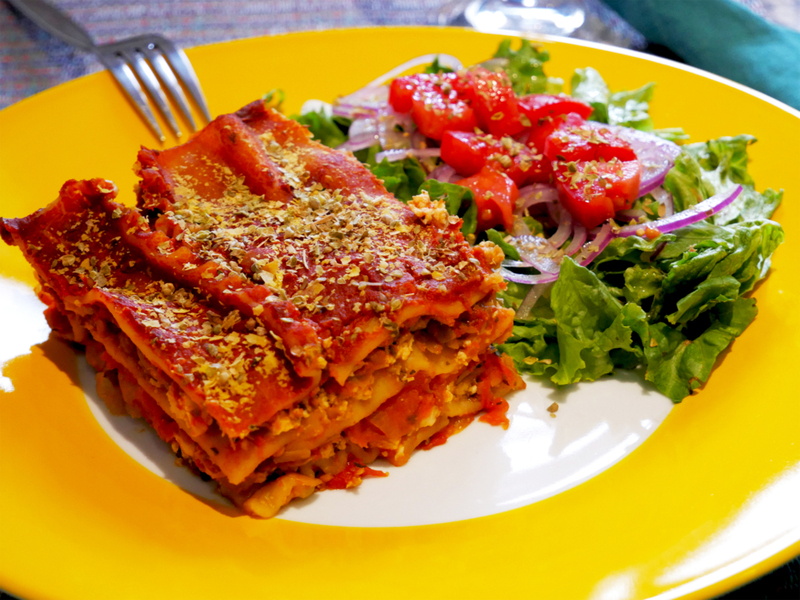 Serving size is 1/8th of the Easy Vegan Lasagna, about 3"x4". Easy Garden Salad Do Humans Need Dairy?